I did use the search button. Most posts were back to 2014. I'll try google, but thought I would ask here as well. I wanted to try something simple that would not take a ton of money. Got this off Fleabay. The pic setup was just temporary to verify function and get some quick impressions. I had been listening to my modded LSi9s using a standard Nova as a pre to a Yamaha amp. I already had a gen 3 Ipod collecting dust and tons of digital music so I used DBPoweramp converter to downgrade the bitrate to 44.1 and to apple lossless format. Put the IPod in the INova and wired to some LSiM 703. I listened to some Pink Floyd Delicate Sounds of thunder tracks and then DSOTM. I only spent about and hour and certainly not set up correctly. I look forward to when the room shuffling is done and I can listen more and convert more music. I enjoyed the sound and liked that the remote could step through the iPod tracks. My question is - Has anyone found a good set up / software configuration to feed files from a PC to get out of the apple bitrate restriction. I think the usb input will do 24/96 and optical like 24/192. If you have been using iTunes from a Mac, you can get the PureMusic app that works within iTunes and gives you the opportunity to enjoy up to 24/192. It does have a two week demo mode. The other pretty inexpensive option is Amarra which uses it's own complete software, but can take the files already in iTunes. Thanks for the information markmarc. I am not using a Mac and Amarra required a more current operating system than I have on a computer for this. It did give me leads on programs that could work. It looks like foobar, mediamonkey, or even VLC media player could work and send straight to USB out. 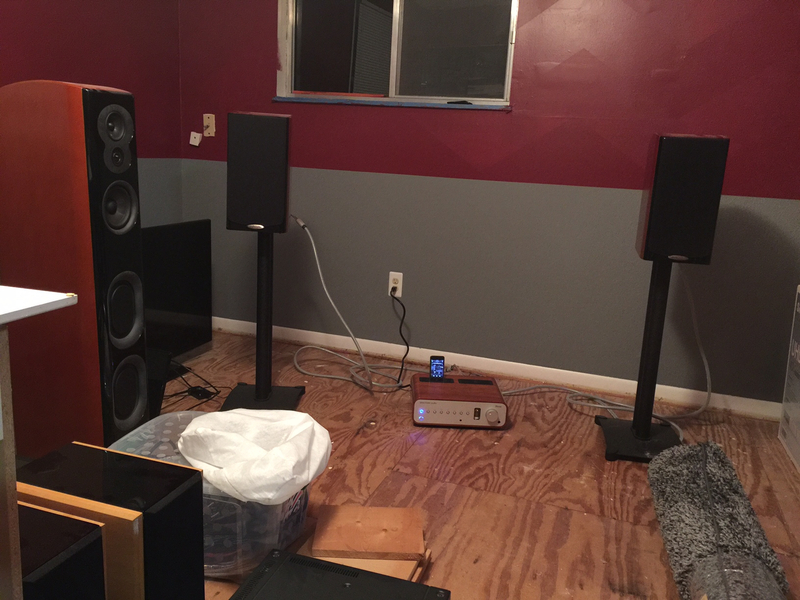 I'll probably convert some of my favorite albums to ALAC 44.1 to use until the room is set up testing other options. I think the computer source will just be much easier for me to navigate, but the iPod music is convenient and sounds pretty enjoyable so far.